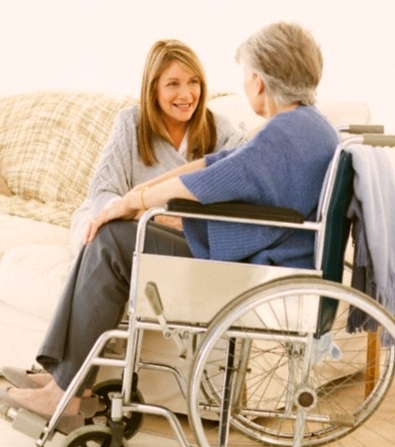 Are you elderly or have a physical disability and value the choice, dignity and privacy that independent living brings? If so The Gleam Team can provide professional home help assistance for you within your own residence at times convenient to you. You can have us visit for between 1½ and 6 hours on a daily, weekly, fortnightly, monthly or irregular schedule. Our friendly staff will take care of those difficult to do tasks in a caring, efficient and professional manner so you can continue to enjoy the freedom of living independently in your home. Our home help staff have passed enhanced CRB (Criminal Records Bureau) disclosure checks for working with elderly, disabled and vulnerable individuals. The enhanced CRB form will be provided by the home helper upon their arrival or we can supply an electronic copy via e-mail if required. Please note that due to the specialist needs of those with mental disabilities or forms of dementia such as Alzheimer's disease it is a requirement of our home help services for individuals with any of the above conditions that a caregiver is present at the same time as our staff. The Gleam Team provide an efficient, professional and affordable cleaning service to residential and commercial clients in the Berwick upon Tweed, Borders and North East Northumberland area. We also supply a homecare assistance (home help) service to the elderly and infirm in the South East Borders, Berwickshire and Tweed area. Our catchment area covers Berwick upon Tweed (Berwick-upon-Tweed) Coldstream Kelso Duns Eyemouth Wooler and the TD12 TD15 TD5 TD14 NE71 and TD10 postcodes in the UK. We also clean holiday homes retail premises caravans hotels restaurants end of tenancy lets holiday cottages and rented accommodation for landlords. Staff are trained to British Institute of Cleaning Science BICS standards are fully insured and have passed Enhanced Criminal Records Bureau (CRB) disclosures.